LetItShine.biz has been helping churches, schools and organizations enjoy professional websites since 2007. This service is all about helping churches and schools improve their online presence effectively, attractively, and affordably. The requirements of a church website have been changing, and we are out in front of the change. You need a professional website as a cornerstone to your branding. You need to connect with your parishioners, youth and older alike. 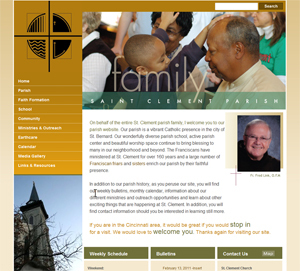 You need to attract visitors and regulars alike with community events, online homilies, audio and video. We work with churches and help in all these areas. We know what we are doing and do it well. You can take advantage of that and concentrate on your content. Our Content Management System allows you to have a login account and password for yourself and as many other helpers, committee chairpersons, group leaders, den mothers and volunteers as you need, so you can all log in and edit your own section of your website. Add photos, write paragraphs, headings, homilies and prayer requests and more.